Are you looking to entertain a group of clients, customers or employees? 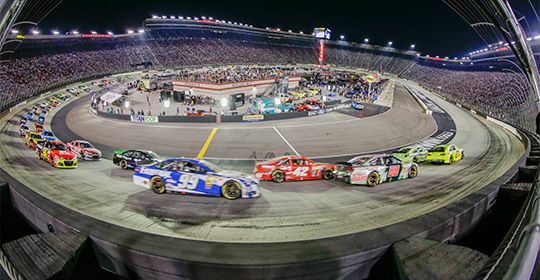 At Bristol Motor Speedway, the possibilities are endless. From luxury suites with garage viewing access to hospitality chalets we have options that will be tailored and customized for your group. The most amazing view in all of motorsports. Exclusive spots open now for Suite Holders for all NASCAR XFINITY & Monster Energy NASCAR Cup Series events. Stand in Turn 4, sip some shine and feel the thunder of 43 gladiators as they battle it out on Bristol's High Banks. Pit Side Hospitality gives a whole new meaning to the Bristol Experience. 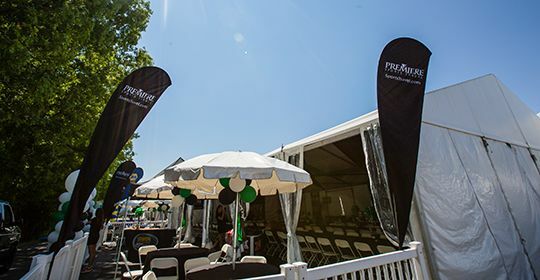 This pre-event & in-race hospitality located in the Monster Energy NASCAR Cup Series garage is one-of-a-kind and will impress any guest. Pull your RV into the NASCAR Garage. Be in the midst of the race day hustle. Treat your guests (or yourself) to a pre-race hospitality experience unparalleled in sports. The ultimate in pre & in-race entertainment at Bristol.